The front porch of the old farmhouse in Lodi, OH. I great place to relax on a hot summer’s day! In my last post a few days ago, I wrote about a day of rest and restoration on a friend’s old family 200+ year old homestead in Lodi, OH. This is the front porch that provided some shade and a place for pleasant conversation on a hot summer’s afternoon. We don’t see too many places like this anymore. Too bad, we would be far better off if we did I believe. Turkey feathers in a bottle. 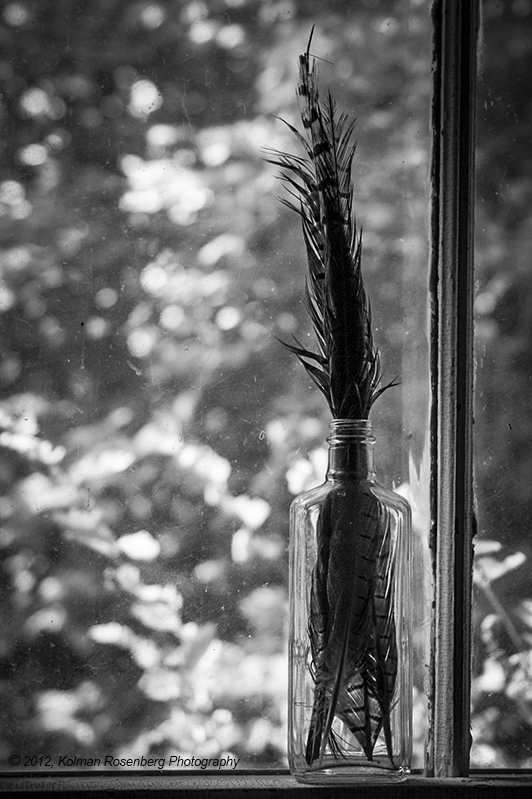 Shooting from inside the farmhouse, I came upon this bottle containing turkey feathers sitting in a window frame. The glass is old and pitted, the window frame paint crazed and showing it’s age, but all giving a sense of quiet and calm. I felt that black and white conveyed the feeling of these scenes without the distraction of color in these images. I love black and white photos and almost always consider the conversion. It doesn’t always work, but in this case I like it and hope you do too! 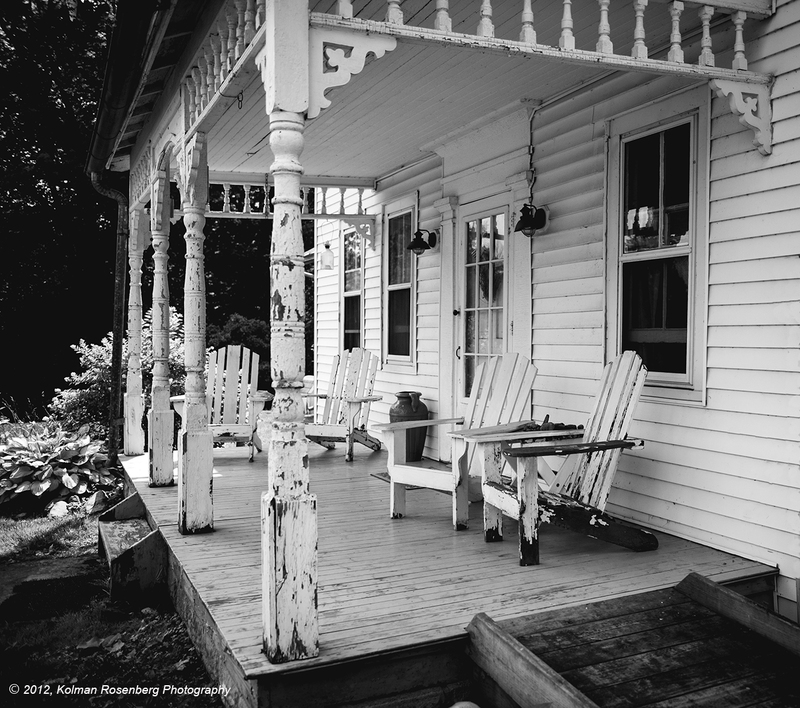 This entry was posted in Uncategorized and tagged adirondack, antique, calm, chair, farmhouse, feather, lodi, OH, ohio, porch, relaxation, serene, turkey. Bookmark the permalink. Nice area-Lodi. Nice shots too. Yes it is Micheala, there are more shots I want to take down there! I’ll head back occasionally!